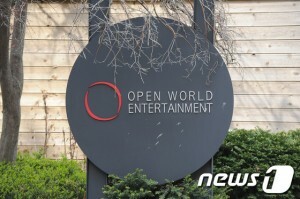 On the heels of the Open World Entertainment scandal that rocked the Korean entertainment industry in April, the Korean government finally made some vague attempt at stepping in to protect celebrities and potential trainees from fraud and abuse at the hands of entertainment companies. However, as was discussed, government efforts to create a database of reliable entertainment companies do not really do much to aid those who are currently working in an entertainment industry that is already rife with problems and controversy. Without breaking the law, many entertainment companies engage in a number of business practices that are questionable and often harmful to the health and welfare of the idols they purport to represent and protect; wouldn’t the government do well to enact some sort of protective measures that might counter this sort of activity, too? 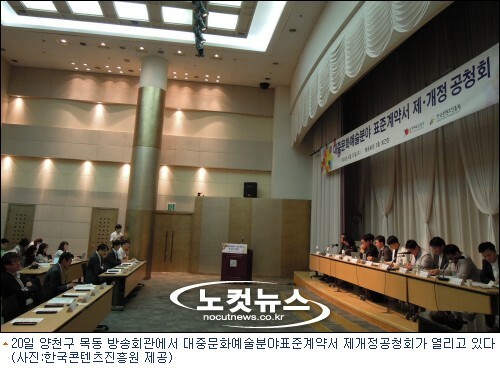 Well, it seems as though they are trying to do just that: it was reported that Korean lawmakers are exploring avenues through which they might reduce the working hours for actors and actresses involved in filming dramas. During the recently-held “Public Hearing for the Re-Revision of the General Arts & Culture Standard Contract,” lawmakers discussed plans to limit the number of hours that a drama may film per day to 12 hours, with a maximum of six hours overtime per day. As a measure of protection to prevent actors from working consistent 18-hour days, it was proposed that dramas may not film for 18 hours per day for more than three consecutive days. Additionally, as part of the potential contract revisions, the production staff of a drama may be mandated to submit scripts and other necessary materials to actors three days prior to filming. In order to ensure that regulations are followed properly, a penalty system has also been discussed. Actors and actresses are set to receive compensation if broadcasting companies fail to follow the rules, with additional details to be worked out with directors and other staff members. Cue the chorus of whining from entertainment and broadcast companies. Only 18 hours per day? Compensation for rule-breaking? But…but…but how will we ever surviiiiive? Let’s get something straight here. 18 hours is a really, really long time. Anyone who has ever worked a normal, union-mandated workday of 8 hours can tell you this. I’m currently working at a job that has me at 6-hour shifts (most of them spent on my feet), and by the time I’m ready to clock out, I’m also ready to collapse. Of course, filming a drama is quite unlike most occupations; it’s terribly time-consuming, and that’s understandable. But that doesn’t change the fact that 18 hours a day is still 3/4 of the entire 24 hour day. When, exactly, are those who are involved in the drama’s production expected to sleep? Even if they leave the set immediately after filming concludes, they’re probably not going to get more than 4 hours of shut-eye before they have to get up and resume filming. Of course, a potential problem with any government attempt to intervene in the way entertainment and broadcasting companies do business is that it will likely conflict with just that: the tried and true methods by which entertainment and broadcasting companies do business. And oftentimes, this includes…well, making whatever decisions will bring in the most money, earn the highest ratings, or sell the greatest number of albums — all of which can potentially come at the expense of the health and well-being of the entertainers involved. This is nothing new; the number of celebrities who have claimed abuse at the hands of their entertainment companies, who have been forced to work ungodly hours with inadequate compensation, who have sued agencies and broken friendships in order to get out, grows with each passing year. Additionally, problems between entertainment agencies, the actors they represent, and the broadcasting companies responsible for airing and producing content are cropping up with greater frequency. While everyone involved in the creation of a polished final product has the same goal in mind — a successful drama, a winning comeback, an all-kill on the charts — there is a tremendous conflict of interest between all parties involved, and finding a way to mitigate and mediate the impact of this conflict is tricky, to say the very least. Of course, a shining example of this would be the disaster that was actress Han Ye-seul‘s no-show on the set of KBS’ drama Spy Myung-wol. Following a dispute between her agency, Sidus HQ, and KBS over the length of the drama, Han fanned the flames of scandal when she failed to show up for a scheduled filming — and it only got worse when she up and left South Korea instead of resuming production. The backlash that she received for this decision was completely unbelievable, but what is worse is the fact that she cited exhaustion, illness, and completely reproachable working conditions as the reasons for her sudden flight and was still made out to be the villain in this case. Reportedly, she only slept for 1-2 hours a night for several weeks. These are not reasonable working conditions. Granted, pulling a no-show and then leaving the country were not exactly the most professional decisions Han could have made, but it really is utterly ridiculous how a number of celebrities (many of them male) get a pass for indiscretions of similar magnitude based on some ludicrous reason while the entirely legitimate and likely true explanation of an inhumane work schedule is somehow seen as a cop-out. Think about it. We as fans throw a hissy fit if our idols don’t live up to our expectations or in some way disappoint us; as my fellow writer Amy pointed out, just look at what has happened to f(x)’s Krystal, who has repeatedly been slammed for being rude, or SNSD’s Yoona and Taeyeon, who were criticized for looking inattentive and bored during a broadcast. While it could be that these artists are actually just terrible people, here’s a new idea: has it ever occurred to anyone that these incidents might be the result of a lethal combination of grossly high standards and a lifestyle that makes these standards damn near impossible to meet? You want your celebrities to put out quality products, to be happy on variety shows, to look their best at showcases? Then they need to sleep. They deserve decent working conditions. They deserve to be treated like human beings. At this point, I feel like I’ve turned into a broken record, but it needs to be said. Government regulation of the entertainment industry is slow and often ineffectual, but it’s a step in the right direction — and whether or not entertainment and broadcasting companies realize it, it really is in their best interests as well. Somebody in one of these companies should realize that there is a problem if an 18-hour work day is in some way considered “limited” or “capped” — and they really shouldn’t stand in the way of resolving these problems in a way that is best for all those involved.